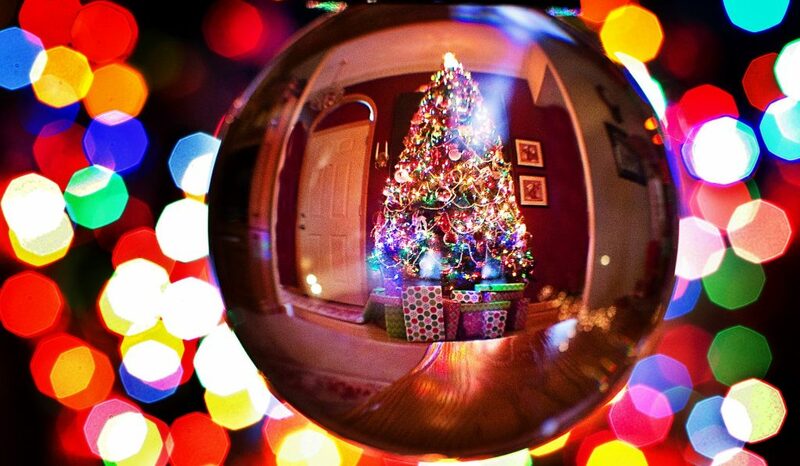 Christmas is almost around the corner! And with it comes a week or two of lots of festive celebrations, excitement and a busy time for the whole family. 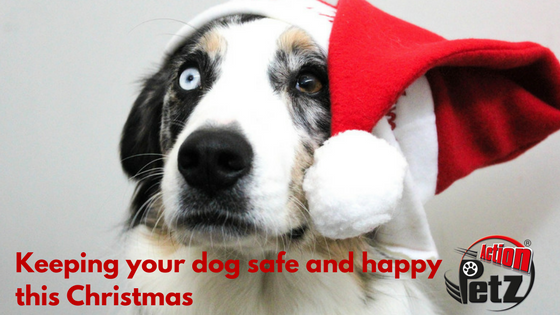 Christmas also means a few extra hidden dangers for your pooch! But fear not, our handy guide will tell you everything you need to know about keeping your dog safe and happy this Christmas. Read on to find out more! Delicious for you… bad for your dog! 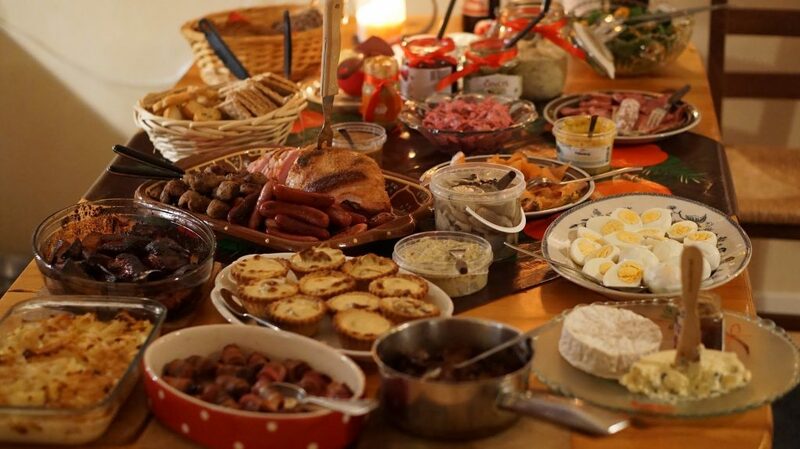 Unarguably, one of the best parts of the Christmas season is the lovely food available. While you may feel indulgent, it’s good to remember that your dog still needs to be fed a balanced diet. Chocolate: theobromine, one of the chemical compounds in chocolate is extremely dangerous for dogs as well as cats and other animals. Even in small quantities chocolate can cause a dog to vomit, experience diarrhoea and convulsions. Extreme cases can be fatal. As a rule of thumb, the darker the chocolate the more theobromine it will contain thus being more dangerous for your dog. This doesn’t mean you can give your dog white chocolate either as it’s extremely high in fat. Grapes, raisins, sultanas and currants: these foods are very toxic to dogs, even small quantities can cause severe kidney failure. Special care needs to be taken around mince pies and Christmas puddings. Onions, garlic, leeks, shallots and chives: make sure you keep the sage and onion stuffing away from your dog! Plants of the Allium family are proven to damage your dog’s red blood cells. This in exchange can cause anaemia, which in turn may become life-threatening for your pooch. Leftover bones: according to the PDSA, “Cooked bones can easily splinter when they’re chewed on and the splinters can damage your pet’s throat or stomach.” So, the best thing you can do for your pooch is to throw them away safely (make sure your pet doesn’t reach the bin!). Macadamia nuts: it’s not known (yet) why Macadamia nuts are so dangerous for dogs. Macadamias can cause lethargy, lameness, tremors, increased body temperature and vomiting. Some of these nuts may be covered in chocolate representing a double danger for your dog. Artificial sweeteners (Xylitol): if you’re watching your waistline during the Christmas period (go you!) make sure you also keep any artificial sweeteners very, very far away from your dog. While Xylitol is safe for human consumption, it’s very toxic and potentially deadly for dogs. A dog that has ingested Xylitol may experience vomiting, muscle weakness, difficulty walking and tremors. These symptoms usually begin within 15-30 minutes after consumption and if they’re not treated rapidly can cause permanent liver damage or be fatal. Keep away any food labelled as sugar-free as well as some brands of peanut butter. Holly: although considered to be a plant with low toxicity levels, the spikes on the leaves may cause damage to your dog’s mouth, throat and stomach. On the other hand, the berries found on Holly plants can cause your dog to experience vomiting and diarrhoea. Mistletoe: there are two types of mistletoe to consider: the European and the American type. The European one, whilst not very toxic, might result in your dog having an upset tummy if ingested. The American type is far more toxic, and it can cause vomiting, retching and in some extreme cases, death. Christmas trees: Christmas trees are not dangerous per se for your dog. What we need to consider is that most natural Christmas trees will shed needles. If ingested by your dog, the natural oils contained in the needles, plus their sharp shape, can cause your dog’s stomach to feel upset. Candles: even when lit, most candles sold in the UK and Europe have low toxicity levels. A dog that feels tempted to eat a candle might increase his/her risk of suffering from an intestinal blockage or chocking. Lit candles also constitute a fire hazard. So, whether they’re lit or not, it’s best to keep candles away from your pooch. Christmas tree decorations: and there’s of course the Christmas tree decorations! Shiny, dangly and extremely fun-looking for dogs. The PDSA points that “dangling baubles, tantalising tinsel and flashing fairy lights can all be very tempting for cats and dogs to play with. Dogs also explore things with their mouths so it’s easy for them to accidentally swallow smaller decorations if they pick them up.” If swallowed, these decorative items can cause your dog to experience serious pain and intestinal blockages. Supervise your dog around presents. Toys: your dog cannot tell the difference between a children’s toy and a pooch toy. It is advisable to keep toys, particularly those with small parts, away from your dog. A dog that swallows a small toy (a Lego piece for example) may experience blockages and/or chocking. 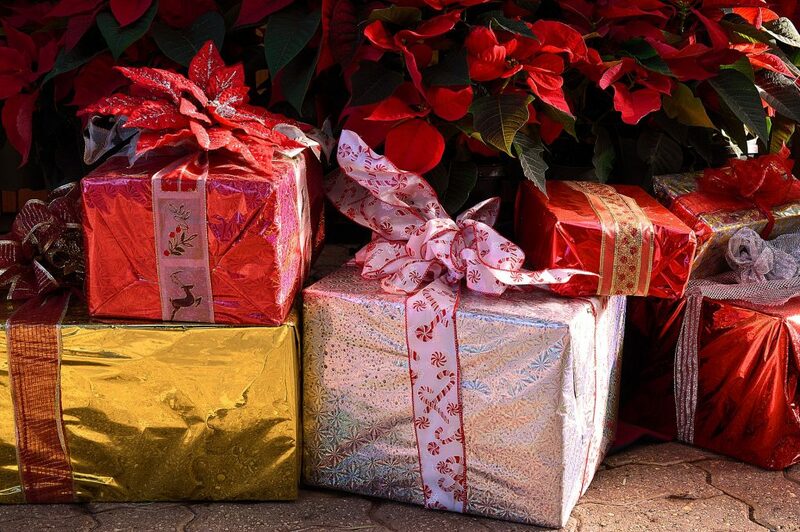 Gift wrapping: although not very dangerous, the dye in some papers may give your dog an upset stomach, or become difficult to clean off your dog’s mouth. A large amount may cause to your dog to choke or to have an intestinal blockage. Batteries: they’re dangerous to people, which means are also dangerous for your dog! The corrosive, alkaline liquid inside a battery can cause burns to your dog’s mouth, throat and stomach. And as with any other non-edible item, these can also cause your dog to choke or have an intestinal blockage. Sharp plastic packaging: if chewed and/or swallowed it can cause punctures to your dog’s GI tract. And there you have it! We hope you find this guide handy and a great resource to help keep your pooch safe and happy during Christmas. Remember, we have also written some complementary guides to help your dog with some other holiday issues such as fireworks and the cold weather. PetMD: Pet Safety Tips for the Holidays. Blue Cross: Christmas Dangers for Dogs. The Kennel Club: Dogs at Christmas.